DNA tests can be useful. For less than $200, you can discover if you have an increased susceptibility to certain diseases. You can also learn more about your body’s unique response to nutrients and medication and the probability of possessing specific abilities. As reported by Global News’ Patrick Cain, an Ontario resident’s health insurance application approval was revoked after she unwittingly told her insurance broker that a DNA test had revealed a genetic mutation that significantly increased her risk of ovarian and breast cancer. Canada insurers have a ban in place that prevents companies from requiring existing policyholders to take DNA tests. It also prevents agents from asking new clients if they have taken a DNA test – but it offers no protection to those who mistakenly admit this information to their insurers. Cowan took a blow in 2015 when the Senate Human Rights Committee (conservative majority) removed most of his bill’s power by concluding that its insurance regulations should fall under provincial jurisdiction. Cowan argues that insurance lobbying killed his bill. “No question. The major opposition to it was the insurance industry. There was no opposition from any province,” he told the Halifax Chronicle-Herald. Canadian doctors report that many patients are actually refusing to take important genetic tests in fear of the potential effect on health insurance coverage. 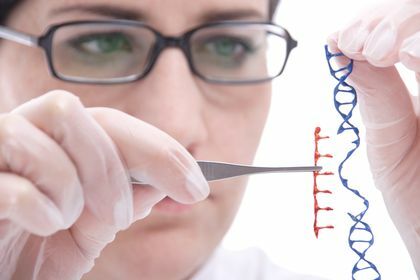 Toronto Doctor Ronald Cohn reports several cases in which patients refused genome sequencing tests – tests that could lead to the possible prevention of life-threatening diseases. “It is paralyzing for me as a clinician that I can’t offer the best, optimal care to the patients and families I see in my clinic, because we are dealing with a lack of protection against genetic discrimination,” laments Cohn. Cowan’s third attempt at the “Genetic Non-Discrimination Act” passed its first reading in the House of Commons this May, but unfortunately does not include any wording about insurance industry regulation. “While the marketing for DNA genetic testing kits may promote ‘life-changing’ insights about your health and ancestry, be aware that with Canada’s existing privacy laws, those insights can also be used against you,” concludes Ballantyne.